This March I decided to leave my hiking boots behind and head back to the Middle East—a region that I hadn’t visited in almost a decade, to explore Jordan. Arriving into Amman airport was easy and very simple. It only took a couple of minutes to get my visa, collect my bag and get on my way. My ginger locks made getting a taxi a breeze – before I was even at the taxi counter, there were ten cabbies waiting to pick up the fare. They almost appeared to be fighting over the receipt like kids and the last piece of candy. I was quickly reminded that I was back in a land where smoking is the norm, noticing the smell as soon as I stepped off the plane. Not even ninety seconds out of the airport I was offered a cigarette, proving very difficult to explain that I didn’t smoke rather than being rude and refusing his generosity. After a long travel day, I was happy to head straight for bed. My first day in Amman started at the citadel. I assumed that this would be a recognisable landmark in the capital, however the taxi I hailed had no idea where I was wanting to go. Rather than turning down the fare, he pulled out google maps so I could put it in and let google direct him the entire way. Again, I was offered a cigarette, however this time when I declined he offered the throw his away. He also used a translate app to ask me questions about myself while weaving in and out of the traffic. Not the safest of driving, but I certainly appreciated his efforts to communicate with me. Friends and colleagues had told me the Jordanians were some of the friendliest people and my trip was certainly starting off that way. I spent the morning enjoying the ruins of the citadel almost to myself with the sound of the Call to Prayer in the background. The citadel was much larger than I anticipated and I was surprised at how few other people were visiting. From here, I followed the sight of the Roman Theatre and walked down the hill. Climbing to the top of the arena I enjoyed people watching including the games of football being played in the square below. After a delightful lunch of traditional Jordanian food at Sufra on Rainbow street I decided to walk off my falafel. Amman was originally built on seven hills and this “stroll” proved that the city has plenty of hills. I walked up and then down several times before reaching the beautiful King Abdullah Mosque. My second full day in Jordan was just as busy as my first. Up early to drive north of the city to the ruins of Jerash, one of the best preserved and largest ruins outside of Italy, and with only a fraction of the visitors! It was incredible to see the colonnaded streets, oval forum and theatres with more goats than visitors in the site. I certainly wasn’t expecting to hear an incredible bagpiper in one of the theatres! Having such a magnificent site almost to myself is truly a remarkable experience. The amount of history spanning thousands of years was not just incredible to learn but has left me wanting to study more about the region to better understand the different periods. A week is not nearly enough time to learn about all the biblical history, the crusades and feats of Lawrence of Arabia and the first world war. The afternoon was much more leisurely, enjoying the healing qualities of the dead sea. I am generally fairly buoyant in the ocean; however, I was truly amazed at just how much of a cork I felt like once entering the water. Although floating was beyond easy, I found it quite a challenge to keep control of myself. It was a very strange experience! I did indulge in a mud treatment to ensure I received all the healing properties available. My skin did feel delightful, but the smell was a bit of a challenge to remove in its entirety. Day three was a drive day between Amman and Petra, broken up with spectacular scenery and even more remarkable historic sites. Our first stop was to Mt Nebo, said to be the place of Moses death. The reconstructed church atop of the hill still showcases ornate mosaic floors from the fifth or sixth century. Views into the Jordan Valley below, to the Dead Sea and into Israel can be admired from the church grounds. Stop number two of the day was to Madaba to see the original Madaba Map mosaic in the floor of the Basilica of Saint George. This map dates back to the sixth century and is believed to be the oldest surviving original cartography from the Middle East depicting the holy land. For the final stop of the day we moved forward thousands of years in history to learn about the Crusades at Kerak Castle. Kerak Castle began construction in the 1140’s and is a large Crusader Castle. Due to its geographical location Kerak Castle was able to control Bedouin herders as well as the trade routes from Damascus to Egypt and Mecca. One of the best things reason to visit the ruins in Jordan is how well intact they are, so very few visitors and very few limitations on where you can explore as most of the ruins have no areas fenced off. Day four was set to be a big day, finally seeing the city that the Nabateans carved from the mountains: Petra! I was up before sunrise to be the first in the gate and enjoy the first few hours very peacefully. My experience in Petra is hard to put into words. The area was so much bigger than I could ever have imagined and I know that I didn’t see it all. The side of the canyon walking towards the treasury was magnificent in itself. My first glimpse of the treasury was through a slit in the canyon before opening up to the impressive structure with camels sitting out the front waiting for the tourists to arrive. Although knowing that Petra covered a large area I had always envisioned that the treasury building was the end of the road, but it turned out to be just the beginning. Walking around the corner was like entering the main thoroughfare of a mall, or what would have been a major road back in the day. A wide avenue with horses, donkeys and camels rushing past with store owners lining the way. It was really easy to envision what the area would have looked like in its heyday. I walked past theatres and more caves before coming to a rock face that would require walking 800 stairs up to view the monastery. The climb up, although hot in the near midday sun didn’t really seem too bad. Sellers were encouraging with how far there was to go in the hopes I would remember them and make a purchase on the way back. One reaching the monastery I wasn’t quite done with climbing so found a large boulder to climb up to get an even better view over the calving. After walking so far up, I was enticed by the plentiful signs advertising the best views in Jordan. And from what I saw they most definitely were! Views out over the rock rangers and out to the Jordan Valley, Desert and back to the Monastery. As I hiker I was now totally in my element! From here it was back down before going up a lot more to the highpoint of sacrifice. Being off the main trail meant there were very few people around and I could just enjoy the beauty of where I was, with the incredible natural and carved rock formations surrounding me. The views from the highpoint of sacrifice certainly didn’t disappoint either! Our route to look over the treasury was certainly on the adventurous side. The path we were going to head down was looking a little precarious due to recent rains moving the rocks making it unsafe. We continued around, down into a small canyon filled with shrubs where clearly no one goes and out onto a ledge where we could see where we wanted to get to but without a clue how to get there. 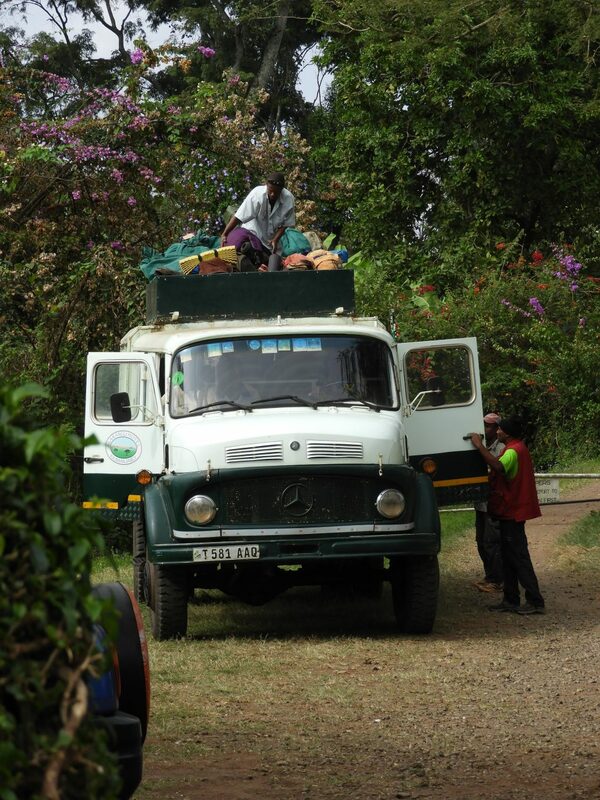 Luckily locals came to our rescue, first trying to shout directions to us, which proved to be unsuccessful before walking over and showing us how to get down into the gorge. As we had been looking for a way down for close to an hour, I am sure we would have abseiled down if a rope was available. At this stage I thought we were on a self rescue mission and would be heading out of the park as it was officially closed, however I was pleasantly surprised to find that we ended up at the viewpoint overlooking the treasury. We had this view all to ourselves as the sun was setting without any great need to hurry on to let others enjoy the precarious ledge that we were standing on. An easy climb down and we were back looking up at the treasury for a final daylight view before heading for dinner. A quick shower, meal and plenty of water to refresh from the days events and we were back to Petra to see the canyon and treasury lit up with candle lit paper lanterns. Arriving at the treasury we were guided to take a seat, have a very sweet tea and listen to some local music being played. If I wasn’t so exhausted by the days events I think I would have enjoyed the evening much more. It was beautiful to see in another light, but I was also really needing sleep! In the 14 hours that I was in Petra my phone recorded that I walked over 41,000 steps and just under 30km. Based on how my feet felt and how exhausted I was I believe it! After much needed rest and thankfully an easy start to the day, we were to continue to head south to the desert of Wadi Rum. One last view over Petra and it’s easy to see how the ancient city remained hidden for so long; none of the incredible carvings can be seen! Arriving into the small town on Wadi Rum we transferred into 4×4’s to continue the adventure into the desert. This desert adventure was a little different for me, as I am used to vast flat landscapes rather than incredible rock formations, some with images engraved into the faces. After the winter it was lovely to be able to roam around barefoot with the sand between my toes before arriving at our camp for the night. I have slept in a few deserts and this was by far the most luxurious set up I have. I had previously spent a few nights in the white desert in Egypt with Bedouins where we rolled out mats and slept under the stars and this was the style that I was expecting again. Rather we rolled over a sand dune to find black tents made of goat and camel hair set up in the nook of a rock formation, away from any wind. A relaxed evening was spent chatting around the fire and climbing sand dunes to look the clear sky full of stars. A sunrise start for day six to drive back out of the desert to Wadi Rum and onwards to the port town of Aqaba. En route we made a stop at the Wadi Rum Train Station to look at the old Ottoman railway and its narrow gauge that is surprisingly still in use. There was still an old locomotive on the track with a few carriages left behind that are allegedly still the responsibility of the Turkish to maintain. The first thing I noticed about Aqaba was that it was much hotter than the other areas of Jordan and it had a very different feel to it. Fortunately, I managed to arrange a couple of dives for the afternoon upon arrival. A quick change and I was finally off for two dives in the Red Sea. The Red Sea is known for crystal clear waters and it’s been on my list since I became certified. My first dive was at the sight of the Japanese Gardens, swimming over many corals, fish and even an octopus. With over 500 fish species, I was surprised at how many poisonous creatures (43) were inhabiting the water including fire corals, stonefish, pufferfish and lion fish, the later I was unfortunate enough to experience the excruciating pain caused by it’s venom while diving in Colombia. The second dive site included a M42 Duster Tank and a C130 Hercules plane that have purposefully sunk to create an artificial reef. I’ve had very few wreck dive experiences and diving among a tank and plane surrounded by coral and colourful fish was an experience I’ll never forget. The water temperature was perfect as was the visibility, and the best part was that I only saw two other divers while I was down there! The final night was spent eating fresh seafood under a quite treelined street, enjoying the warm air before making our way back to Amman to head home. 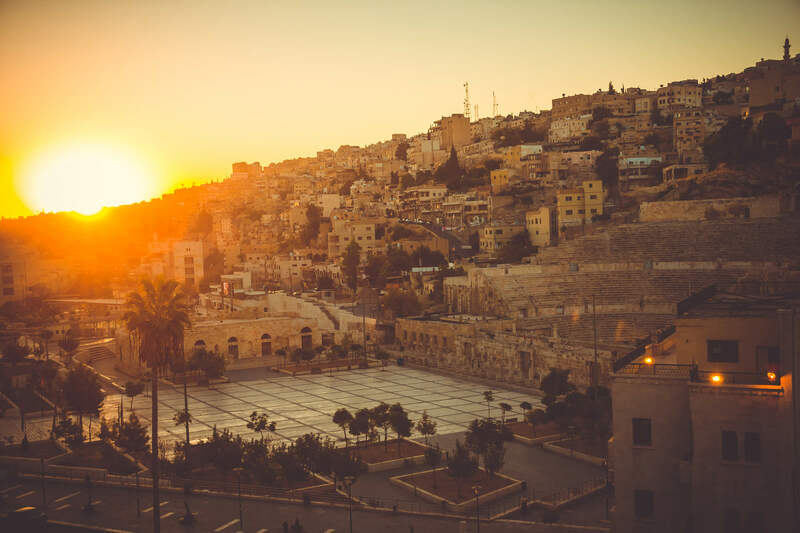 I went to Jordan with very little expectations and was blow away by the history, beautiful landscapes, delicious food and some of the most hospitable people that I have come across. We hope you enjoyed reading about Kaithlyn's trip. Find her contact details here!